It’s a bit of a challenge to get Zane to decide on what kind of ride we should take or what route. Often, totally expected, he’ll say “something quick” or “all downhill”. 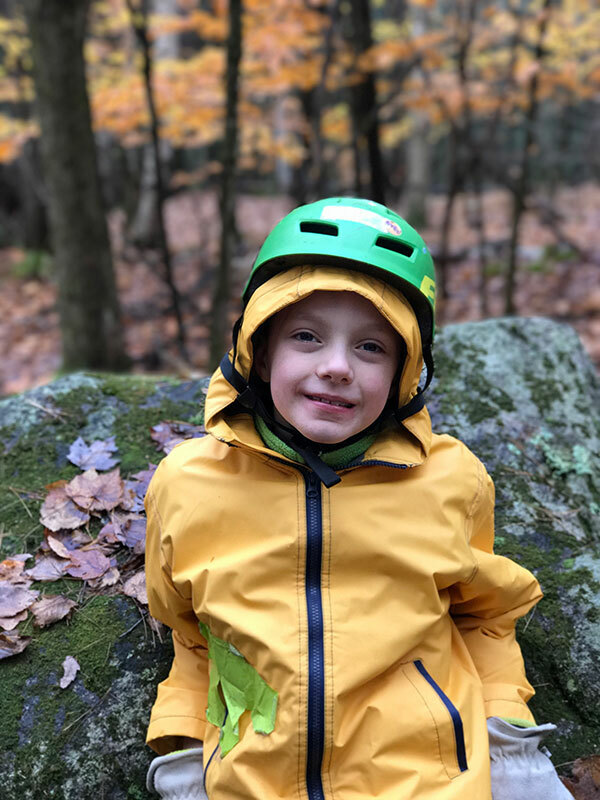 On the other hand he likes going to Franklin, NH and going down the Mighty Chicken, which takes some time to bike too and is an exciting roller coaster of a ride that you need to bike back uphill to ride again, which he will do. This weekend I offered a bunch of local trails that we hadn’t been on yet, hoping to expand his range and repertoire. After listing them he said, “huh?”. One more time and the one with “Explosions in the Sky” was his pick. I admitted that we’d have to go up some steep hills to get there, but he was all for it. And he did great. We went up a route with four or five steep pitches. Last time we went up one of the trails I ended up pushing his bike up a few of the steep sections, but this time he rode more and pushed the rest by himself. Only on the final steep hilly trail did he need my help. Then it was time for Explosions in the Sky! The trail winds around the top of Crafts hill before heading down the back side. Lots of fun and even some excitement on the steeper downhill. After that we needed to make our way back around the side of the hill, which of course meant some climbs. But he was busy talking about video games and seamlessly transitioned from biking to walking to biking as needed. Total distance of 9 miles that took around 3 hours to complete. Boy , I’m impressed. You traveled far in a short time.And your smile shows how much you enjoyed it.